The Christian Science Monitor takes a closer look at whether Pokémon Go can save the once-great Nintendo. This Pokémon Go guide from Esquire provides "everything you need to enslave, categorize, and battle cute magic animals." In another piece, the Atlantic explores the mystery of Pokémon Go's maps: "Since its release, it’s become unclear where the the geographical data that describes and defines those streets and landmarks is coming from," it notes. BuzzFeed reveals that Pokémon Go—"the app taking over lives and actually forcing people to get off their couch"—started in 2014 as an April Fool's joke courtesy of Google. 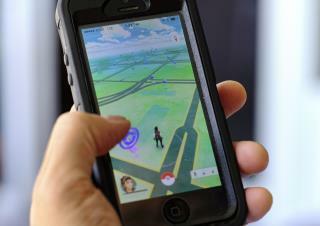 Speaking of being a hit, Pokémon Go has far surpassed Tinder in popularity, Fortune reports. Vanity Fair provides a roundup of metrics that demonstrate the game's status as an "instant blockbuster." "From graveyards (and specific headstones) to 'adult entertainment' shops," Mashable takes us on a tour of some of the strangest Poke Stops. It's all fun and games until Pokémon Go players end up with "broken feet, bruised shins, and twisted ankles," Vocativ reports. Other players have had to be warned not to trespass. There's a lot of talk floating around about the app, which requests quite a bit of access to your Google account, being a privacy nightmare. Lifehacker has a helpful guide for how to handle this potential problem. Even the Westboro Baptist Church has gotten in on the phenomenon. Not in a good way. Except all the kids shooting across the street to get to a park or church (stone)! The news headline says this is everything I need to know about Pokemon Go. After reading it I still don't know what it is. You would think that would be the first thing they would tell me with such a headline.